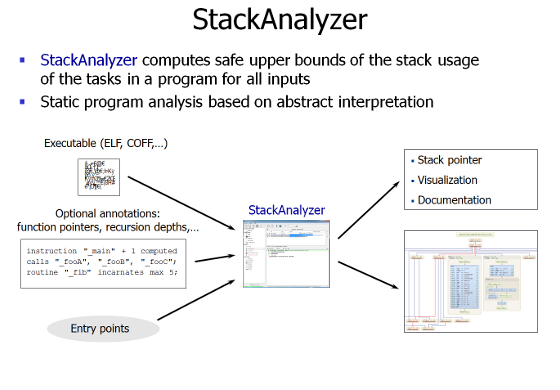 StackAnalyzer automatically determines the worst-case stack usage of the tasks in your application. It features fully integrated, feature-rich graphical and textual viewers for control flow, analysis results, source code, assembly code, and configuration files. 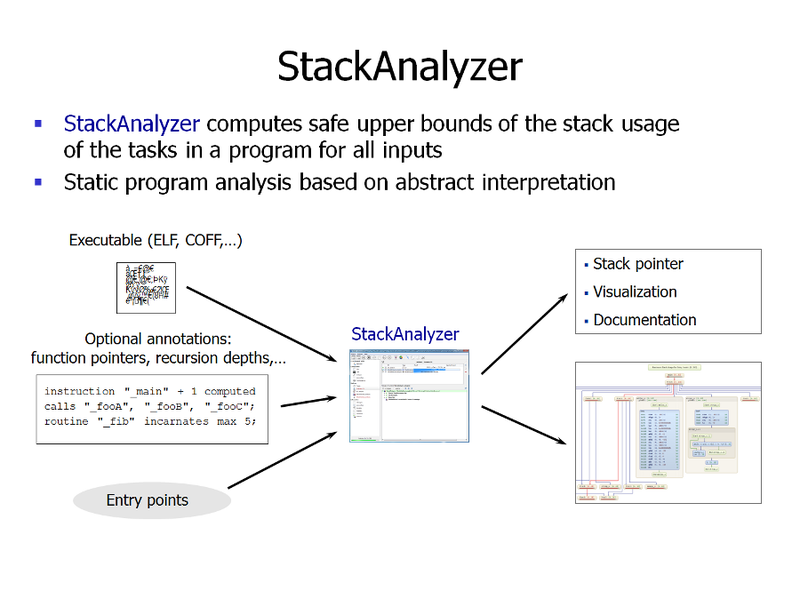 The analysis results are provably correct, and valid for all inputs and each task execution.